The spraying drone of Beijing-based market leader, TTA has a 10-liter liquid tank and is 40-times faster than manual spraying. October, 2018— A Western Europe based drone company began to distribute the products of one of the leading industrial drone manufacturers, the Beijing-based TTA. The first available product from October is the TTA M6E spraying drone with 6 propellers and 10-liter liquid tank. TTA presented its first spraying drone in 2009 and thousands of their drones are working across the World so it is one of the most experienced manufacturers on the market. M6E is 40-times faster than manual spraying and it can save 90% of water and 30-40% of used pesticide. The drone is capable of working automatically, only a map has to be marked in the application and the drone plans and flies the route by itself. 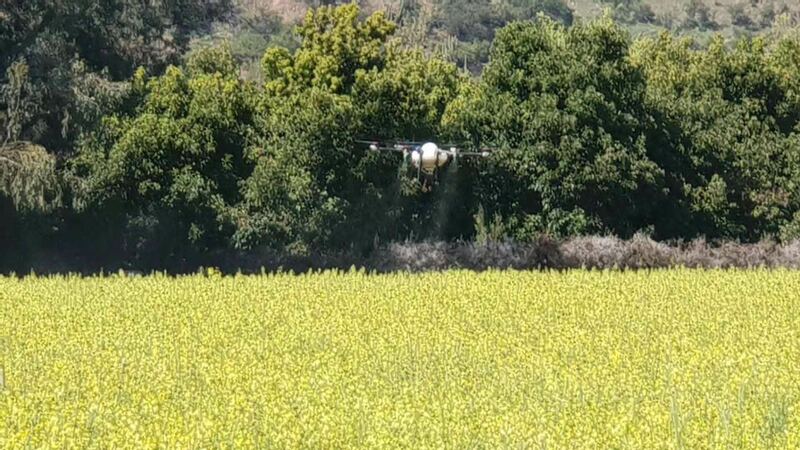 The M6E is waterproof and is able to spray 0.7-1.1 hectares with one single flight in just 10 minutes. If the liquid or the battery is running low, the drone can return to its homepoint, and after liquid refuel and/or battery change it is able to continue the mission from the point it stopped. The drone is powered by a single, 14000 mAh intelligent battery. “As the population of our planet is rising year-by-year, the biggest challenge of the upcoming decades will be to make agriculture more efficient. 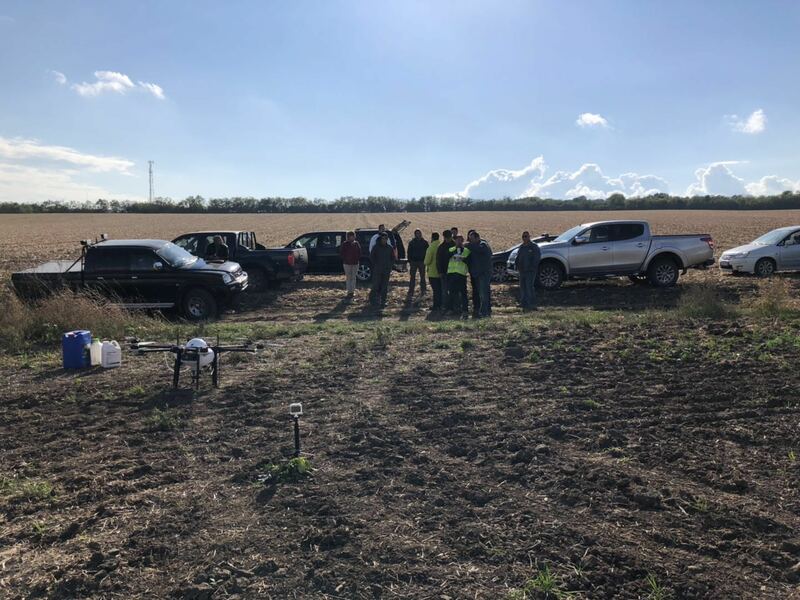 The drone technology has just started to appear on the fields recently, but we strongly believe that precision drone mapping and drone spraying would be soon a part of farmers’ everyday life” – said János Körömi. On its bottom side, TTA M6E has a precision radar, which makes it able to follow the terrain, so it is able to fly safe on sloping soils or even terrace cultivated lands. The drone was designed to be repaired and maintained on an easy and cost-efficient way. TTA distributor also offers repair service and sells spare parts as official distributor. The safe operation of industrial drones needs expertise even if their controls are similar than hobby drones, so buying and operating them is only possible with a company certified training. “It is very important to note that industrial drones are not toys. They are working machines such as tractors and harvesters. The proper and safe operation is only possible after a few days long training, which is provided by our company locally in local language to every sold drone, as the partner of TTA. Unauthorized operation might cause accidents and might make warranty invalid” – explains János Körömi. Even if the spraying drones fly 1.5-3 meters above the crops, just in case of every other drone flights in Hungary, operator has to get temporary airspace permission and also respect the policies for spraying. For detailed specifications of TTA M6E, please email us by lan.li@ttavaition.com.